The purpose of the Los Técnicos Chixot Education Center is to provide Comalapan youth with marketable skills that will enable them to be responsible citizens and entrepreneurs. Educational opportunities for teenagers and young adults in rural Guatemala are severely lacking, and this project will give them the tools they need to be competitive in the job market. 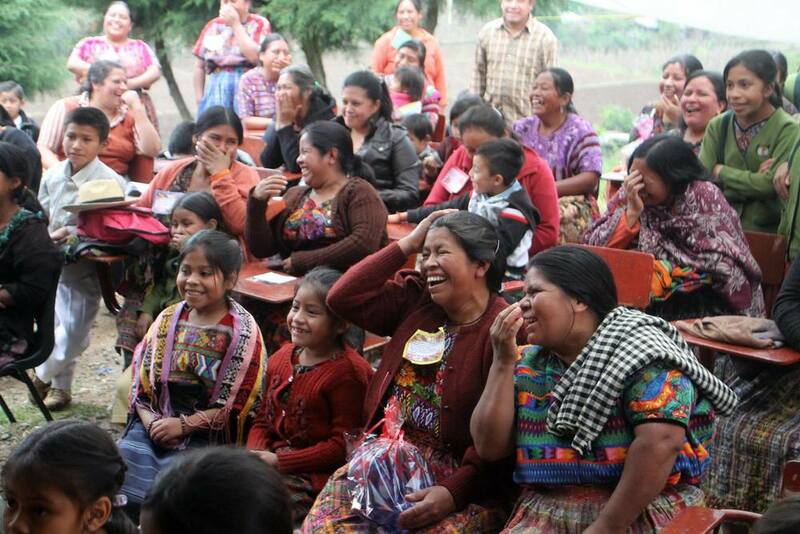 The school will offer relevant educational opportunities, create jobs, and combat environmental issues in Guatemala. In addition to the standard primary educational curriculum, our middle school and vocational school will offer coursework in carpentry, masonry, mechanics, electrical, welding, and horticulture, along with introductions to the business and technology aspects of radically sustainable construction. 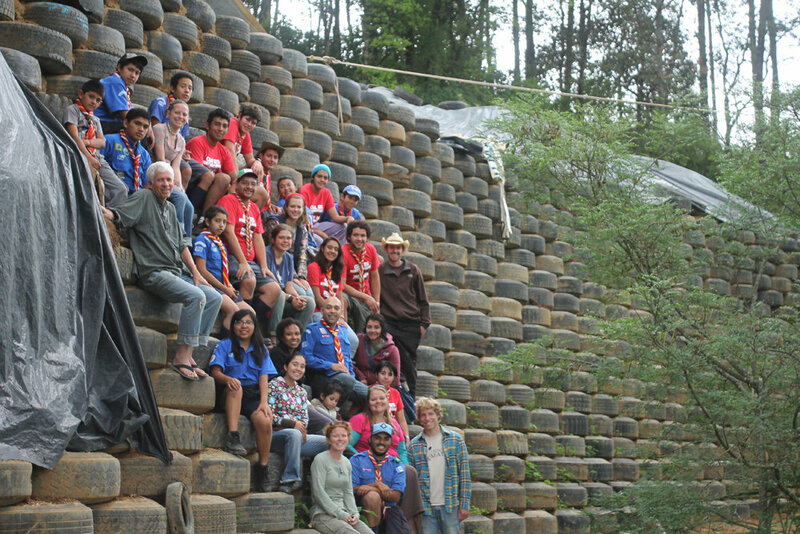 The project aims to foster a new group of Guatemalan students, environmentalists, and entrepreneurs, uniquely equipped to innovate in the field of sustainability and construction. The school’s first year of operation was in 2014 with 61 students from kindergarten to 6th grade and a local staff of 8 people. In 2015 we opened up to 7th grade, with 92 students in the school, and now in 2016 up to grade 8 with 102 students. Upon completion, the school will have Kindergaten through to Grade 12, and consist of a total of 18 buildings: four vocational workshops, eight classrooms, an administrative office, a cafeteria, library/computer lab, an art lab, a pump house for water distribution and purification, and a volunteer house. The Los Técnicos School will provide a venue for young Comalapans to learn such trades as masonry and carpentry. The school workshops will serve as hands-on classrooms, and will be viable businesses where the students will work as apprentices to professionals in each field. The income generated by the workshops will pay the teachers’ salaries, helping the school accomplish its goal of financial independence. The school will also include an area where students can learn alternative energy production. Interns and volunteers from around the world who come to work at Los Técnicos Chixot will also contribute to the financial sustainability of the project. The fee that each volunteer pays will directly fund educational programs at the school and supplement teacher salaries. Using environmentally friendly construction methods with materials such as trash bottles and tires, the school is a practical demonstration of ways to re-purpose discarded materials. The locals who participate in the school’s construction have hands-on experience with these construction techniques and are able to apply their knowledge within the community. Environmental education will be a main focus of the school’s new curriculum. From organic permaculture to environmentally friendly construction methods, young Comalapans will be learning responsible stewardship of local ecology through their coursework. The most immediate way that the construction of the school contributes to the local economy is through the provision of jobs for teachers and construction workers. The current teachers will be joined by additional teaching staff from within the community as new grades are added over the next few years. The long-term economic impact of the vocational school will materialize when skilled graduates, uniquely trained to be environmental entrepreneurs, enter the Guatemalan job market.